Ministry of Aircraft Productions photograph approximately 21.5 x 17cm. 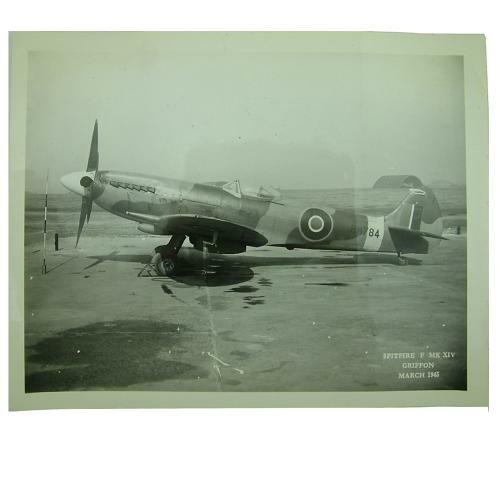 Shows a Griffon engined Spitfire F Mk.XIV c. March 1945. Good clear image. Minor creasing and slightly dog-eared corners. On Air Ministry paper. Stamped to rear. Stock code P22873-115.